When I first thought of the post I’m composing, I had my married folks in mind; however, singles in serious relationships can benefit from this as well. No, that’s not a typo. Yes, I am one of those who believe that unless you’re married, you’re single but that’s another discussion altogether. It’s the month of February and Valentine’s Day is right around the corner. Guys, you’re planning extravagance for your woman because you feel she’s worth it. Ladies, you’re trying to go all out to surprise your gent so he’ll know just how much you appreciate him. Guess what? If you’d regularly make deposits into your love tank bank account, you wouldn’t have to isolate your display of love to just one day, nor would you feel slighted if it didn’t happen the way you thought it should. Am I saying to ditch extravagance and flair? Not at all. I just want you to begin today to take inventory on what communicates I love you unconditionally and will remain beyond that day. When was the last time you actually heard his, or her, heart regarding something and invested in it? Have you been intentional about praying over and for each other—and with each other? How do you interact with each other when you’re in public? What do you do when you’re mad at each other? Do you run and tell that to your closest friends (in turn, throwing your spouse under the bus) or do you get into your prayer closet, seek the Lord, and then, with grace and love, confront your spouse? 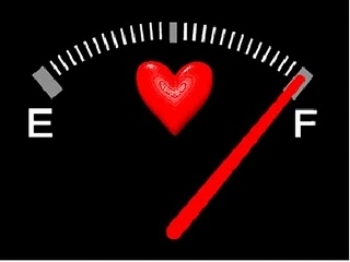 You see, your love tank bank requires purposefully living out 1 Corinthians 13 and Ephesians 5 with each other. It requires the couple to walk in integrity and to esteem the needs of each other over their own. Once you keep putting those types of deposits into your love tank bank account, you’ll find that you can afford the extravagance and flair because you did the part that matters the most. Have a Happy Valentine’s Day!